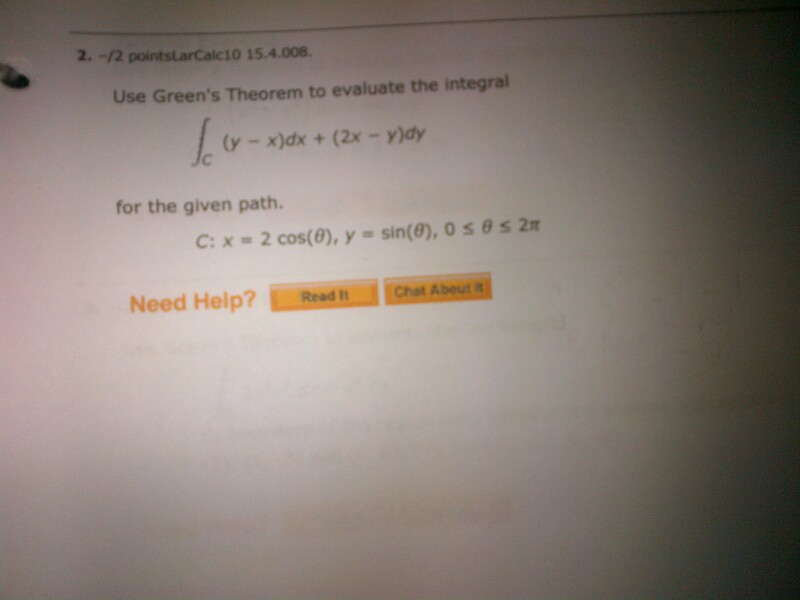 Q: I’m using the Green’s Theorem portion of the Calculus Made Easy app. It does not ask for the pathway etc… How do I enter the attached problem ? Now lets think about the path for moment: it is an ellipse starting at 2,0 passing through 0,2 , -2,0 and 0,-2 and back to 2,0 correct? and x bounds are [-2,2] . So the path is defined using x and y as rectangular bounds.